The Culture is a post-scarcity liberal civilization not unlike Star Trek‘s Federation. Imagine the European Union writ large, with enough space, food, and energy for everyone, but where the laws are imposed by social convention rather than the government. The Culture wouldn’t tell you not to do something … but why would you even want to do that thing? It’s a civilization that has built massive Orbitals — ring worlds like the ones we saw in Halo — that provide millions of square kilometers of livable space for humanity. It’s established an enlightened First Contact program for uplifting lesser alien civilizations (but in a constrained, respectful way that demonstrably improves the civilization’s quality of life). It’s also created machine-intelligences who’s grasp of the universe far exceeds humanity’s own. Known as “Minds”, these machines are considered sentient of equal standing to humanity, and play a major role in the governance of The Culture. One of these Minds is the MacGuffin that drives the entire story. In the book’s opening chapters a Culture base with a fledgling Mind in it is attacked by the Iridans. In a fit of brilliance, the Mind is able to escape by folding space and time and transporting itself to a dead world in a forbidden sector of space. Horza, a master spy who hates the Culture’s smug, unchanging superiority and reliance on machine minds, is tasked with retrieving it. The first two-thirds of the book is given over to his quest as he infiltrates a mercenary starship, participates in a disastrous attack on a seemingly low-tech temple, and finally visits one of the Orbital ring worlds for fun and profit. It reads like a series of short stories, which isn’t a bad thing, but makes it harder to get invested in any one part of the galaxy. In the final third the book settles down as Horza and his team close in on the Mind in its forbidden hiding spot in the deep tunnels of a long-dead civilization. They find themselves up against another team sent to secure the Mind, and the rest of the novel is dedicated to the brutal fight between the two factions. The book is at its best when its exploring the galaxy that Banks created, and playing with the implications of the Culture’s attempted utopia. If you’re looking for classic space opera with clearly defined sides and an obvious hero, don’t look here. Horza is a ruthless — and unrepentant — assassin, and the vast majority of the book is told from his perspective. The book’s epilogue and supplemental materials point to the futility of war, and captures individual dread and despair that arises when a great power — once so sure of it’s place in the world — finds itself facing an unfathomable enemy. Written in 1987 — four years before 9/11 — the novel anticipates aspects of the conflicts that America and Europe have found ourselves immersed in. Having triumphed in the Cold War we too were confronted with an enemy we didn’t understand, and lashed out at it with all the wrong tools. We made moral compromises to fight that enemy that ran contrary to our core values, and all the while we wandered around like a hurt bear that couldn’t quite figure out why the bees keep stinging it. Like us, the Culture has a hard time understanding why anyone would have a problem with it — after all, who could possibly fight a utopia? The book is the first in the series, and it reads like an early novel. While I enjoyed flitting around the galaxy with Horza, the plotting and character development was thin, particularly when it came to the shapechanger’s mercenary crew. I can’t say I’m sold on The Culture series yet. I did’t mind the moral grayness, but truth be told (and spoilers be damned) the book left me feeling melancholy. The book is a slice of life in the galaxy, but those lives end up counting for so little in the great, galactic scheme of things. 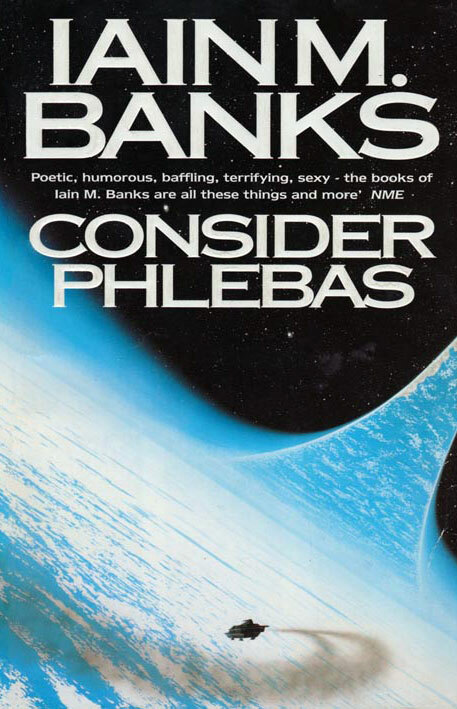 I think I need to read another book in the series, perhaps one from later in its development when Banks had matured as a writer. I have too many friends who praise the series to simply give up on it after the first book.